I was approached by my friend TonyN, the owner of this beautiful Mk.IV Supra. He said he had been talking to Patrick Ernzen, editor of Desert-Motors magazine. 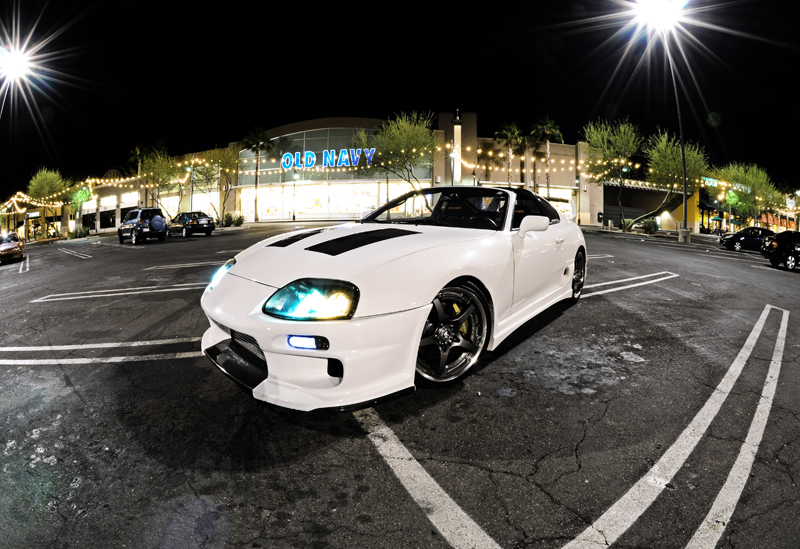 He wanted to have an article on his Supra in the next issue. Having done work for DM in the past I was excited to do another full photoshoot for the magazine. We did the shoot less than 2 days after Tony told me about everything. The layout and photography will be done by me with the words being written by Patrick Ernzen. Look for the full article in the next issue! By: OtisFiled under Automotive, Photography. Tagged Toyota Supra MkIV Mk4 Photoshoot. Bookmark the permalink. It was between high school Senior Prom and Coachella 2010. I chose Coachella. I don’t regret it one bit.